Why Do Your Teeth Feel Fuzzy When You Forget to Brush? We’ve all done it – you get busy, rushed in the morning and forget to brush your teeth. Or maybe you’re so exhausted one night that you don’t brush before you get into bed. The next thing you realize, your teeth feel fuzzy against your tongue. Ever wonder what causes that fuzzy feeling? In this instance, it’s plaque! Plaque is that bacteria that grows in your mouth and sticks to your teeth. If not removed twice a day, it begins to build up and can damage your teeth. If plaque is left on your teeth for too long, it can lead to cavities, gingivitis, and even worse if it enters your bloodstream! Of course, lack of proper brushing can also lead to staining on your teeth as well. So, if your teeth feel fuzzy – get thee to a toothbrush! However, your fuzzy teeth aren’t always the result of plaque buildup! Certain foods can also create that fuzzy feeling without the plaque. Spinach, beets, kale, and rhubarb all contain oxalic acid. 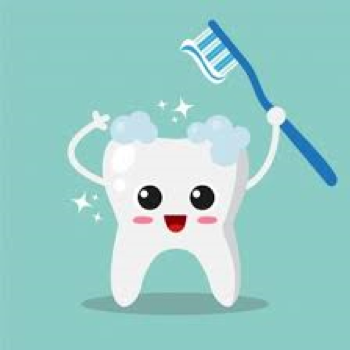 Oxalic acid won’t do the same damage that plaque will and can easily be removed with, you guessed it, BRUSHING! Simply by keeping your teeth brushed and super clean, you’ll not ever have your teeth feeling fuzzy. In addition to this topic, we’re pleased to offer a FREE report that provides information vital to good dental health. Why not get your copy now? 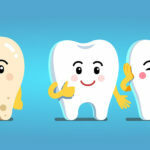 The Smart Patient’s Guide to Wisdom Teeth, is just a click away. And it’s absolutely FREE. Also, for additional information, make an appointment, or have a question answered, you’re more than welcome to call us at West Airdrie Dental at 587 317 7713 or click here to visit our website.